This animal healthcare record is great for show animals or livestock. 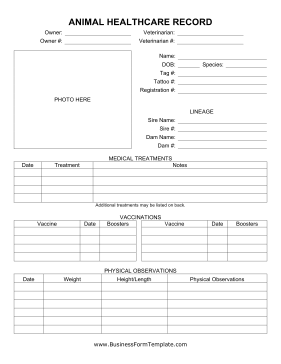 Photos, lineage, vaccinations, and contact information can all be stored on a single convenient page. Additional Treatments May Be Listed On Back.